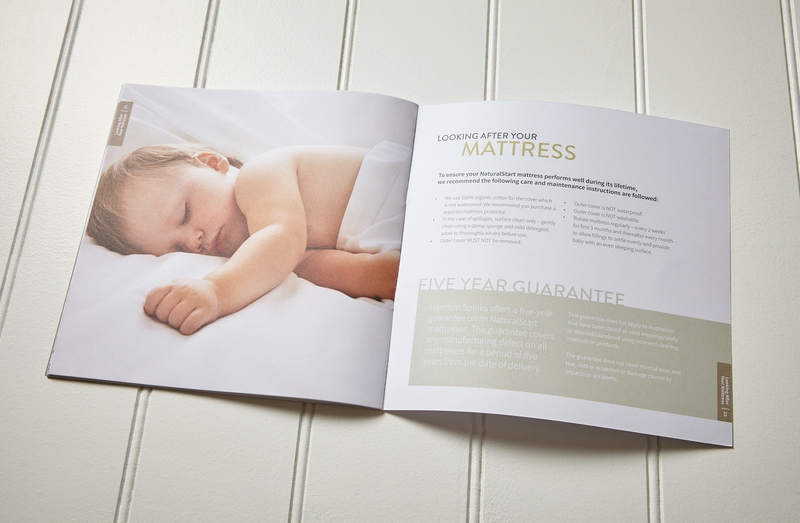 Pure was approached by luxury bed makers, Harrison Spinks, to design a brochure for NaturalStart, a new range of cot bed mattresses by Harrison Spinks Baby. 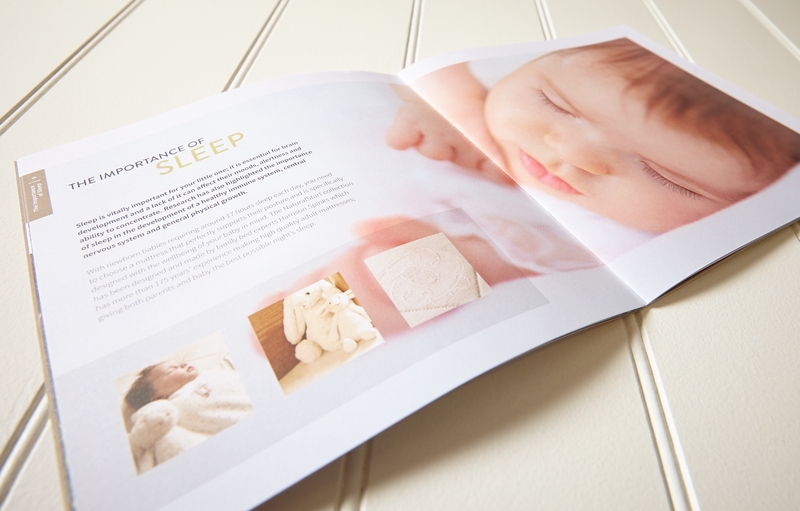 Harrison Spinks Baby had clear messages to communicate with its new brochure design. Firstly as the only bed manufacturer in the world to grow, process and blend its own fillings, NaturalStart cot mattresses guarantee a great night’s sleep for babies. Secondly, Harrison Spinks Baby combines these natural fillings with its own unique BabySpring® technology. The brochure needed to communicate this information to parents in an informative, creative and concise way. Using transparent overlay pages featuring hand-drawn sketches we showed the different types of springs available in the mattress. We also showed the natural fillings which make up each unique layer. These pages sit over the photography to give the user an interior view of the highly engineered mattresses. At Pure we understand that creative design for print is reliant on choosing the right paper stock. We carefully selected suitable print stock for the inners, covers and transparent overlay. 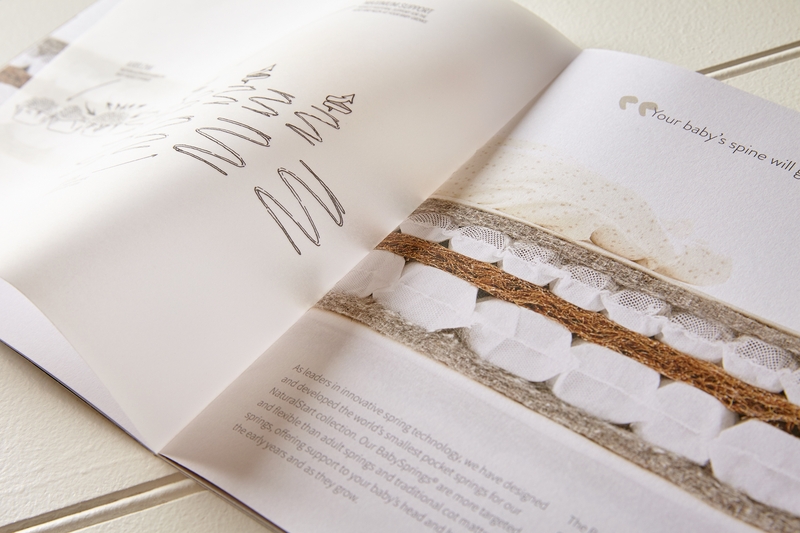 The outcome is a saddle-stitched brochure that looks and feels as natural as the products inside it. 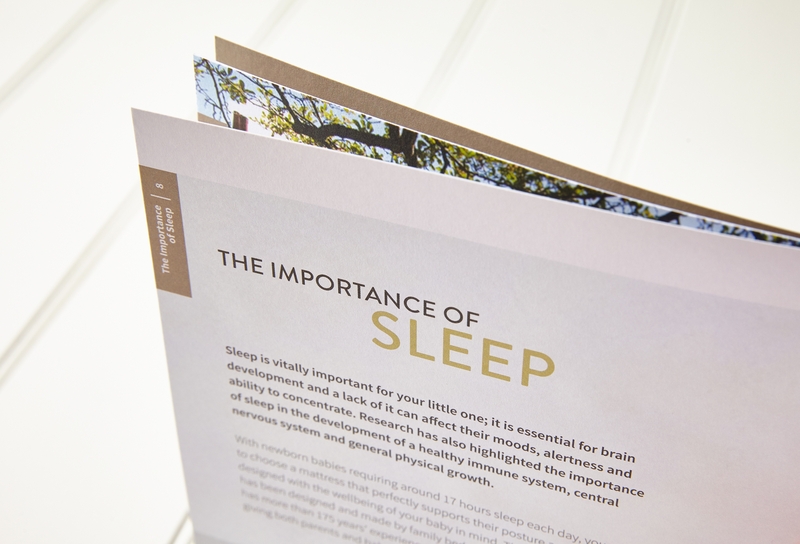 The brochure design we created for NaturalStart was clean, soft and natural and the final project was very well received. Harrison Spinks Baby has since asked us to create packaging design, POS, advertising and exhibition graphics for the NaturalStart brand. Find out more about Harrison Spinks and Harrison Spinks Baby.